Benihana, the iconic Japanese steakhouse at Avani Atrium Bangkok Hotel, has been voted the number one choice for diners to eat in Bangkok on the global travel review site, TripAdvisor. Situated in a prime location on New Petchburi road, the upscale eatery features stylish Japanese-inspired décor and a unique dining experience in the city centre. Private Chefs prepare succulent meats, ocean delights, delicious vegetables on a sizzling teppanyaki grill tableside, wowing diners with Benihana’s signature displays of dazzling culinary acrobatics. In more than 790 reviews on TripAdvisor, delighted patrons have praised everything from the ingredients to the show-stopping gastronomic theatrics, with a number of personal compliments for the talented chefs. Overwhelming ratings of “excellent” have sent Benihana to the top spot, placing the restaurant firmly on the don’t-miss list for adventurous foodies. 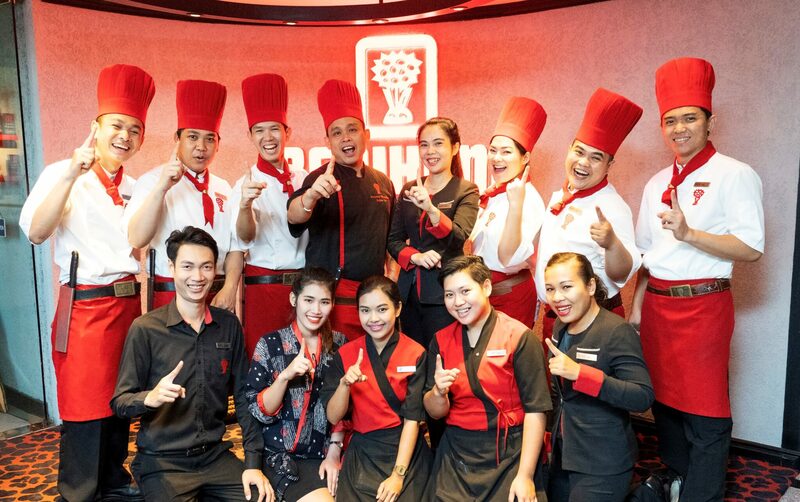 Located on the second floor of Avani Atrium Bangkok, Benihana is easily accessible by taxi, or just a short walk from the Petchburi MRT station and Makkasan Airport Rail Link. Benihana at Avani Atrium Bangkok is open daily for dinner from 5:00 pm – 10:30 pm, with weekend Brunch every Saturday and Sunday from 12:00 noon – 3:00 pm. Don’t forget to add your pictures to our social media, or see our latest pictures and videos by following or liking us online. We dare you to order our cocktails and not take a picture!